Black Hawk County Gaming Association requires all its applicants to adhere to our grant guidelines. We reserve the right to deny funding to Applicants who fail to follow funding guidelines. Be started and completed on time and completed as presented. Failure to do so may be cause for the Board to suspend future payments and demand repayment. The Board of Directors prefers applications that demonstrate matching funds have already been raised or are available. 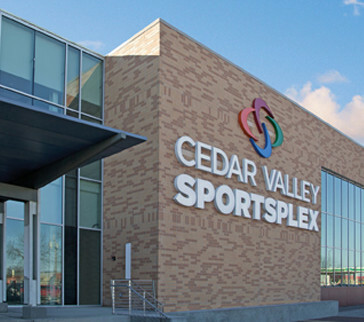 The Black Hawk County Gaming Association accepts, reviews and acts on requests to fund programs, projects and activities that benefit the Cedar Valley. Step 1: Read and understand the Funding Guidelines and Procedures. This is required, and you must do it before you fill out the application. Step 2: Write a Letter of Intent for funding to the Black Hawk County Gaming Association. The board will use this letter to determine if you meet their funding guidelines. If you do, we will send you an email detailing how you submit your full application. Letter of Intent deadlines for Black Hawk County: April 15 and October 15. Letters of Intent from counties other than Black Hawk are only accepted once each year and the deadline is January 15. Applications must be in our hands by the close of business (4:30 p.m.) on deadline dates to be considered for review. You must submit your Letter of Intent before you submit the application. All Letters of Intent are reviewed to make sure all eligibility guidelines are met. You will be notified if you are eligible to submit the full grant application. Step 3: Submit the application. If you meet our guideline and eligibility criteria, we will send you an email with full instructions on how to apply. The application must be submitted online by the close of business (4:00 p.m.) on the deadline date for that quarter in order to be considered.